For some people a garage is simply a place to park your vehicle or store outdoor and excess items but for others, it’s the main hub for projects and activities. Some garages are even makeshift dens or serve as the obligatory man cave where people can relax, catch a ball game and relax with friends. No matter what use you have for your garage space, there are a few slight changes you can implement to have a better impact on the environment for your children and children’s children. 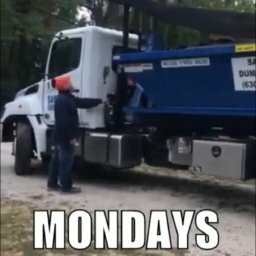 Let’s take a look at some! Garages have a tendency to be huge energy wasters. They are not usually sealed very well from the elements and force precious heat to escape. Sometimes a garage might even be heated or cooled to protect the priceless items stored within and those leaks can cause you to run the heat or a/c more than necessary, needlessly increasing the price of your electric bills. A great way to save money and energy while keeping the inside of your garage a perfect temperature is to use weather stripping around leaky doors or windows and insulation for those thin walls. By sealing up the inner system and preventing drafts, you use up less energy which is not only good for the environment but for your wallet as well. 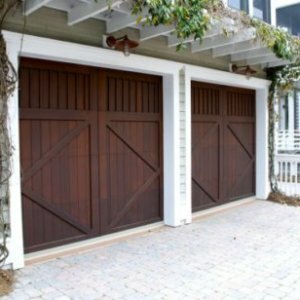 A fantastic option with multiple benefits is to switch out your large garage door for a more eco-friendly solution. These doors are made from bio-degradable materials and can be crafted from aluminum and recycled steel. They are also heavily insulated to reduce energy loss and keep those bills low for you. An amazing plus to having a more environmentally friendly door is that they raise your home’s curb appeal. Often beautifully crafted, these doors add a “WOW” factor that can really spruce up a home’s appearance. Most of the time a garage is the ideal place to perform maintenance on your vehicle. Oil, brake fluid and anti-freeze may be crucial to your car’s performance but they are highly hazardous to Mother Earth when they are dumped down drains or poured into the grass. There are ways to responsibly recycle hazardous materials safely. Keep containers in your garage to store such fluids and, when it is time to discard them, take them to your local mechanic’s shop or contact your village hall to find out if they have disposal locations or recycling programs for such items. Be sure to keep any such fluids, paints and chemicals up high or locked away so tiny hands don’t accidentally spill or ingest them. Aside from fluids, you can recycle most of what you use every day. Set up a small station for aluminum and glass as well as one for paper and junk mail. Use bio-degradable trash bags and encourage your family, friends and neighbors to discard recyclables with you. Not only are you providing safer options for trash disposal but you may just spur your loved ones into taking our responsibility to the Earth more seriously. Many garages have a single strip of incandescent lighting that hangs in the center of the space or along a work area. A better idea would be to replace that with LED lighting. LED lights use less energy than regular bulbs and are able to light up more space, practically eliminating all shadows. LED lights also run much cooler than traditional lighting severely decreasing the potential for a fire hazard. 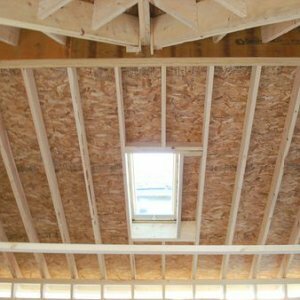 Another neat trick is to install a skylight in your garage roof to allow more natural light to envelope, brighten and heat the space during the day. If you rarely use your garage, this may not be the most cost-efficient or practical solution for you so you may only want to install the LED lighting. This option is only if you are feeling super ambitious and want to be an environmentally friendly super soldier. You could switch to an electric car and install your own charging station within your garage. Electric cars are becoming more popular so the idea is not completely off base. If you have a multiple bay garage, you could even install one on one side for a loved one or anybody that needs a quick refresh. I do have to admit that the Tesla Model S looks pretty sweet. This is a question that only you can answer. While you don’t have to go to extremes, doing a few little changes, such as LED lighting or recycling vehicle fluids, can make an incredible impact on saving our environment and preserving quality air and living space for ourselves. There are other things you can do in your daily life to decrease your footprint on the Earth and make her breathe a little bit easier but these few suggestions are a great way to jump start that line of thinking. We only have one Earth and it’s our job to do what we can to make her last, even if it is only one or two small changes. It means the world to our world. Need To Clear Out Some Space Or Host A Community Recycling Event To Get Started On A More Eco-Friendly Path? 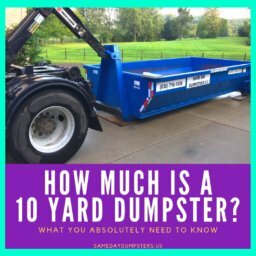 Grab a Dumpster Rental in Burr Ridge today!